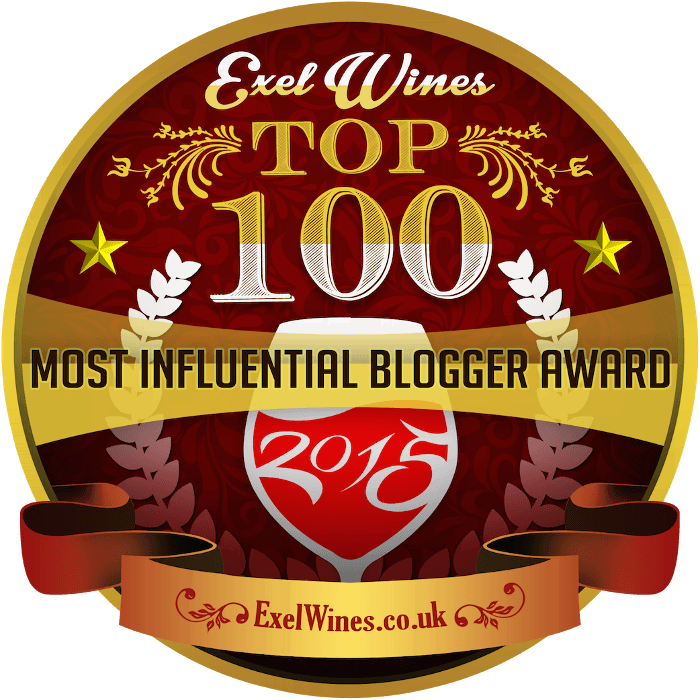 A Cross Of Riesling And Whoops! I’ve been excited to try more Scheurebe ever since I had an Austrian Beerenauslese version (Beerenauslese indicates a very, very high level of ripeness in the grapes). This variety intrigues me; according to The Oxford Companion to Wine, it’s “the one early 20th-century German crossing that deserves attention from any connoisseur.” But what constitutes that crossing is a bit of a mystery. Dr. Georg Scheu intended to cross Silvaner with Riesling, in order to produce a more productive version of Riesling (according to the Oxford Companion) or to produce a superior version of Silvaner (according to Wikipedia). Let us hope it was the first, because DNA analysis in the 1990s discovered that the cross has no Silvaner in it whatsoever. The Riesling is there, but the other parent in the cross has yet to be determined. Some speculate that it’s a wild variety Dr. Scheu had been experimenting with. The noble Riesling crossed with some sort of untamed table grape? Gott in Himmel! Whatever he ended up crossing, Scheurebe (SHOI-ray-beh) seems to work quite well, though only if allowed to thoroughly ripen. The Sotheby’s Wine Encyclopedia warns that Scheurebe “is not very pleasant at Qualitätswein level, but develops a beautiful aromatic character at higher levels of Prädikatswein.” The Oxford Companion agrees, calling it “distinctly unappetizing if picked too early.” But when handled properly, the Oxford Companion continues, Scheurebe can do a fine job in reflecting the specifics of its terroir. 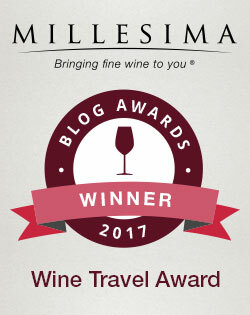 I hoped for the best with 2010 Louis Guntrum Scheurebe Qualitätswein from Rheinhessen, the sandy terroir south of Mainz for which Scheurebe was developed in the first place. It didn’t have the ripeness level recommended by any of my sources, but In Fine Spirits, the wine shop where I found this wine, almost never steers me wrong. 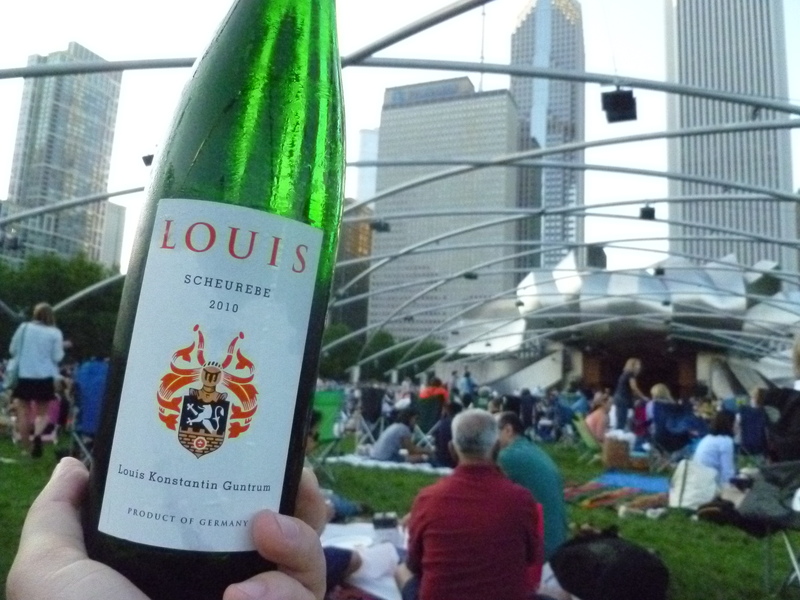 I needed something German to pair with the Beethoven playing in Grant Park one evening, and brought it along.